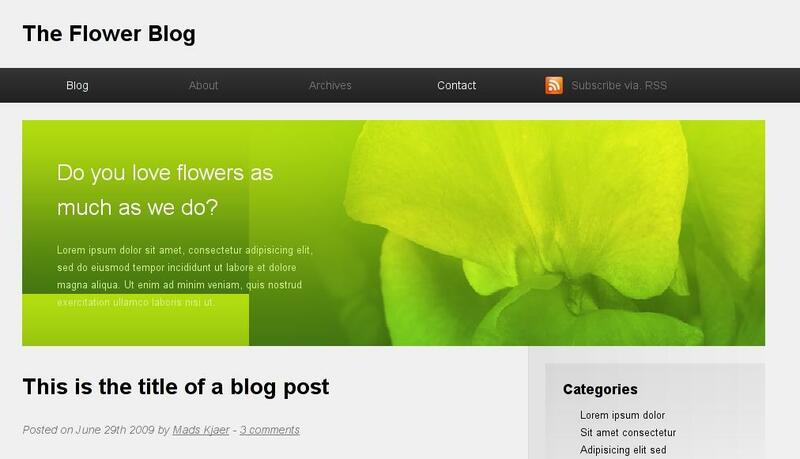 Quick test of how well today browsers can render a HTML5 template. Should we use HTML5 today, or wait few months? HTML5 is the current buzz-making evolving web page standard for the modern web. It simplify web development, but also allows making web application (like Google Wave client) without thousands of hacks and add-ons. 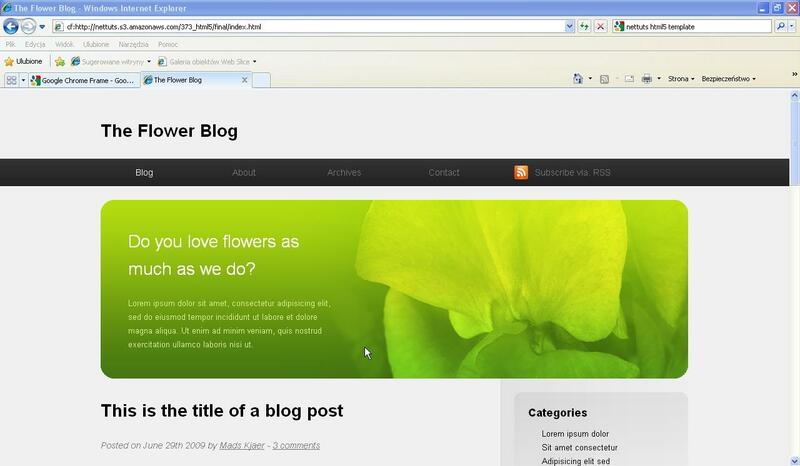 There are some websites that use HTML5 already, but how well vanilla HTML5 web pages are supported by todays browsers? To answer this question I've used a HTML5 (and CSS3) template from net.tutsplus.com - HTML 5 and CSS 3: The Techniques You’ll Soon Be Using checking the demo in few browsers. Google Chrome did the job rendering the template correctly (even when I used old version at first try). 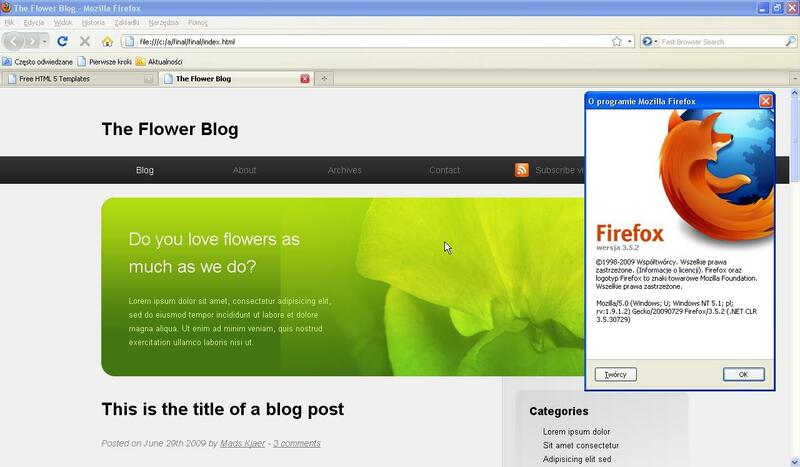 Firefox 3.5.2 did pretty well too, but not the green background inconsistency in the header. 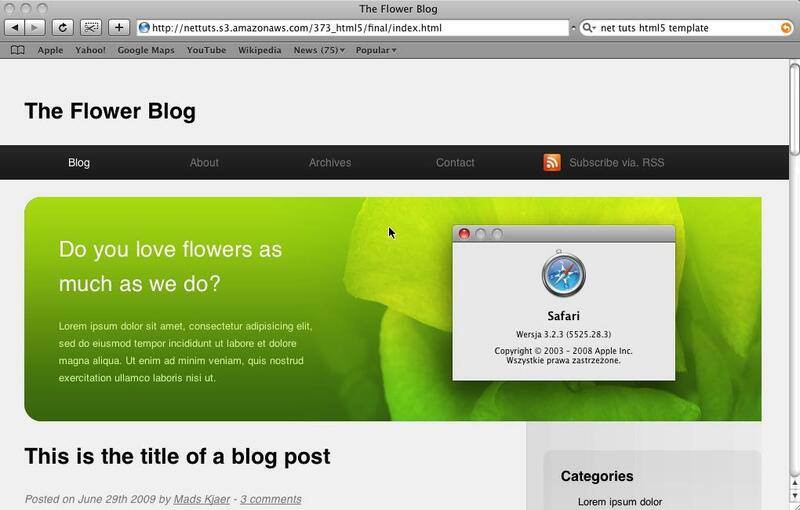 Safari 3.2.3 like Chrome uses WebKit so they both support HTML5 well. Opera 10 didn't rendered the page as good as previous browsers. There are some background problems, the text on the page is displayed in one column, not in 2 as it should be, and no curved corners on comments boxes. 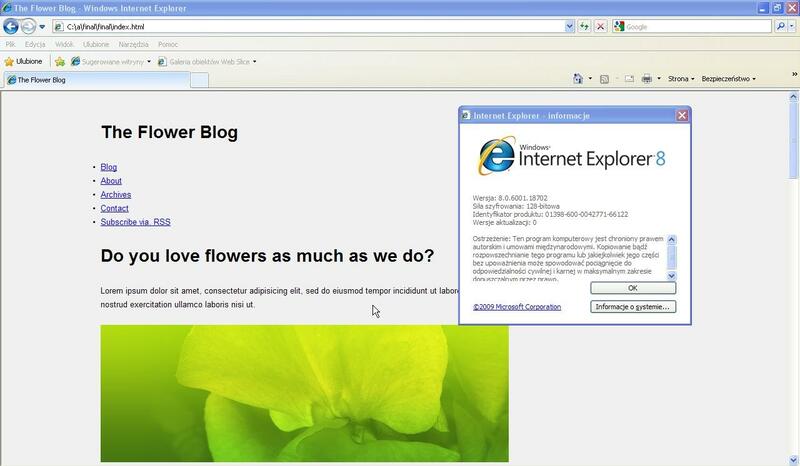 As usuall you can say IE8 failed the "test" completely rendering the template in useless state. After installing Chrome Frame and forcing it on the template - it magically got rendered correctly in the IE8 window... by the Chrome engine. IE users won't be able to see your super HTML5 powered website unless you use some hacks for it (there are some on the web). Forcing to install Chrome Frame plugin by a "simple" website isn't an option too. Opera has problems but the site in the worst case will still be usable (should be). So - to use, or not to use HTML5? If you don't want to mess up with browser hacks - wait, you are brave or need it - try it. 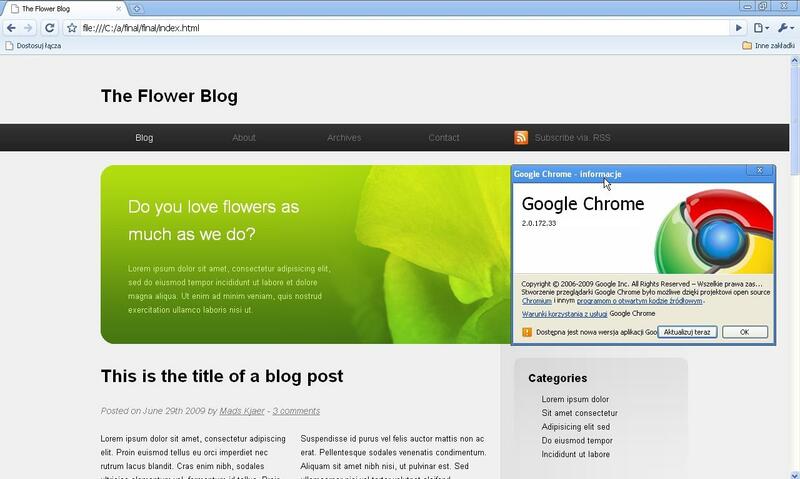 There are sites like avalonstar.com that even in IE look quite good.